Summer Development meet: We had Victoria, Sammy and Rhys competing in Swansea achieving fantastic PB’S across the board. 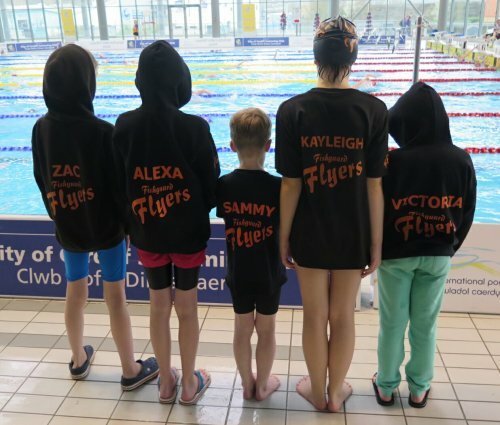 They really are making the club proud by standing up on the national stage at such a young age and swimming their best – over 2 or even 3 days. It’s a big event, embedded into the Summer Nationals and to be there and do well must be the highlight of their season. Well done you three! Summer Nationals : The first thing to mention is the fact that our Welsh Summer Nationals are now called Summer Open, still run by Swim Wales over the course of a 7 day week. English clubs were always able to enter this meet but it felt like they are now outnumbering the Welsh clubs, certainly in the younger age groups 12, 13, 14 years old. In that context – as English age group swimming is even more competitive and a lot more dense than welsh age groups – it was a very difficult task to get out of the heats and into the finals and even harder to swim for the much desired medals. 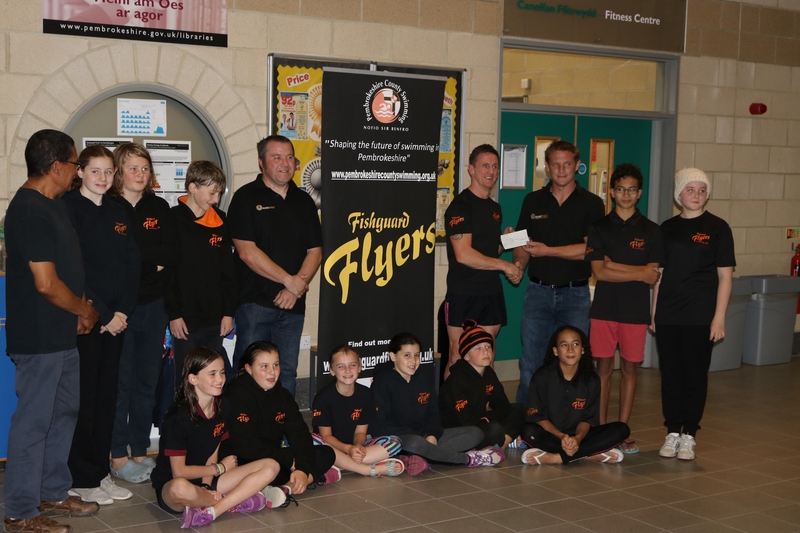 We had 7 swimmers competing – a record number for our tiny club. Some of them were there 5 or 6 days, some for one or some days. I think it is safe to say that for all involved this must have been the busiest, biggest, fastest meet they have been at so far. 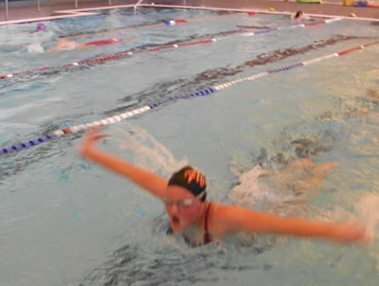 All Flyers took the challenge and got in the water and swam amazingly well. Everyone produced well executed swims and fabulous times. Standing out were Rachael and Hans by getting into some finals, both in their breaststroke events – being able to swim in the evening sessions which are a little special since the swimmers are being announced by their names when they come onto poolside and the atmosphere was electric. Rachael (14yrs) made 3 finals and came 3rd, 4th and 5th – huge well done Rachael for that medal and an excellent show of skills – also in you other 2 events. Hans (13yrs) made 2 finals and came 4th and 5th. Big well done and also in the other 2 events. Special mention to Kaleb who had not raced in a long course pool and did superb. Alexa, Hans, Zac and Rachael all improving club records already in their names while Zac also added 1 new 12yr old record to his collection. Also Kayleigh F and Rhiannon are continuing to impress with star quality swims and constant improvements of their skills.